Samsung Galaxy Note 3 is the third gen Galaxy Note device from Samsung, which comes with the 5.7-inch full HD display, and a lot of excellent features and specifications to boast as one of the best smart devices in the market. Coming with the Faux Leather backing, the Note 3 has got a lot of upgrades to the S Pen, one of the best reasons why people choose the Note devices apart from the screen size. The Galaxy Note 3 packs in a Super-AMOLED display of 5.7 inch size, and the resolution is 1920 x 1080 pixels. Internally, the Note 3 is powered by a 2.3GHz quad-core chip for the US LTE variants, while there is a 1.9 GHz Octa-core processor in the International version of the device. To back this even further for a better multitasking, the device has got 3GB of RAM. The camera included in the device is a 13-megapixel one, which is capable of capturing videos of not just the 1080p Full HD format, but also the new category that is still not much in the mobile sector, the 4K resolution videos. On the front, there”s a 2-megapixel BSI sensor camera which can also capture 1080p videos at 30fps. Out of the box, the Note 3 would come with the Android 4.3 Jelly Bean OS, the new KitKat version of Android that was recently announced by Google Android team might be coming later on when it is made officially available. The S Pen functionality has been enhanced a lot to make it better in delivering more than what it used to, earlier. There”s an Air Command feature which would give you several options to do with the S Pen. With this packed into the device from the bottom, there”s no much contribution to the weight, which is something good with the Note 3, which weighs just 168gm for the huge display. There”s a lot more details and features about the Note 3 device, but we will list all of that in a Hands-on review that we would post soon. Check out the specifications below. 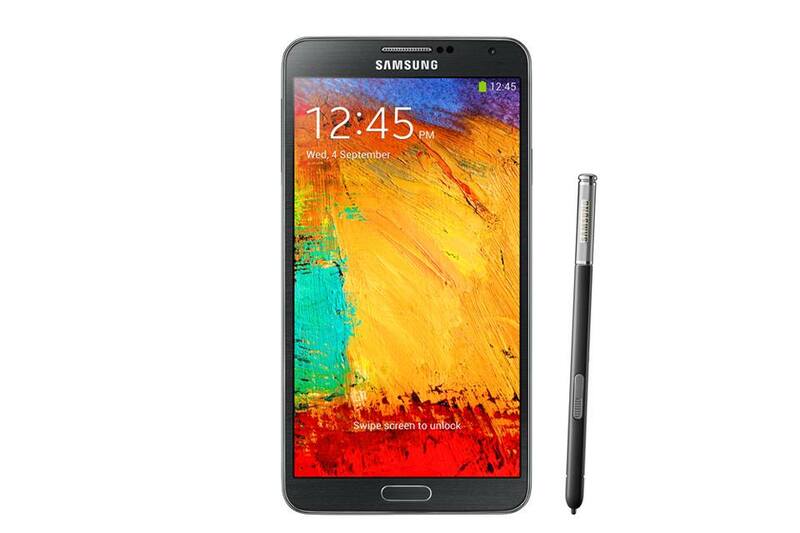 The India price of Samsung Galaxy Note 3 device is just announced, and it costs Rs. 49900 and it would be available right away. Samsung had even announced the new SmartWatch, named the Galaxy Gear, which is priced at Rs. 22990 in the Indian market. On AT&T, the Galaxy Note 3 is priced at $299 with the 2-year contract, but if you are taking it without the contract, it would cost you $724.99. It”s quite a similar pricing on the other networks too, and we are yet to see the official pricing for the device without any network lock. Apple had recently announced it”s two new iPhone devices for this year, with the Apple iPhone 5S being an update to the iPhone 5, but with some excellent upgraded features and the Apple iPhone 5C with the colorful design and most of the specs being the same as the iPhone 5.